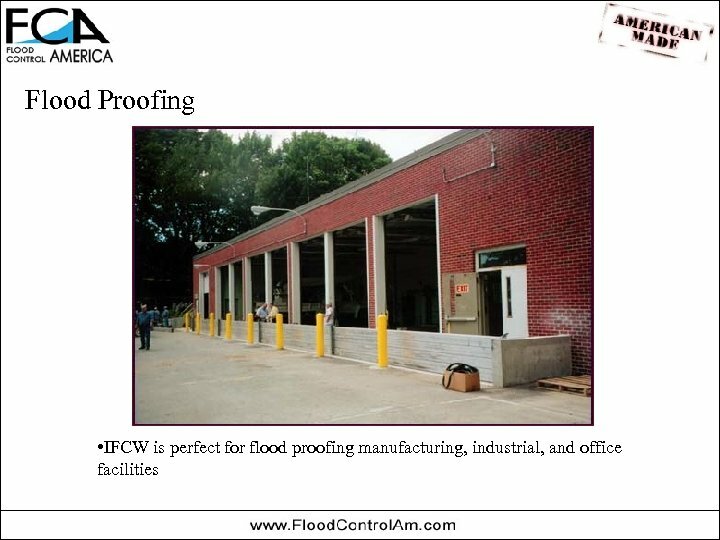 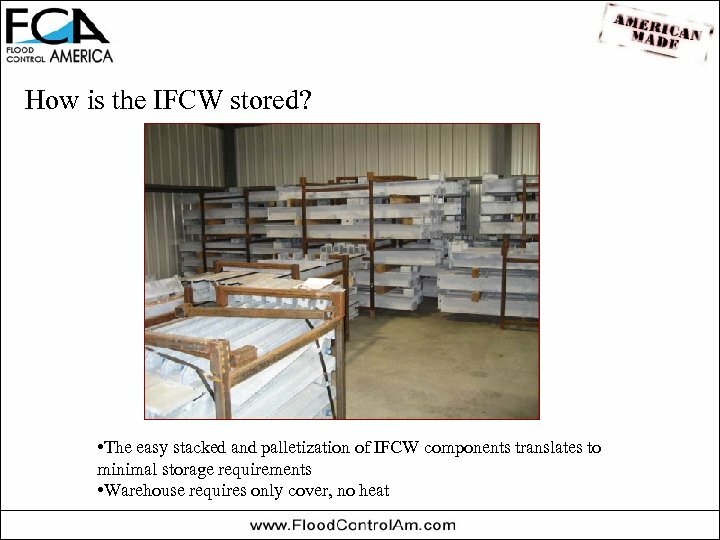 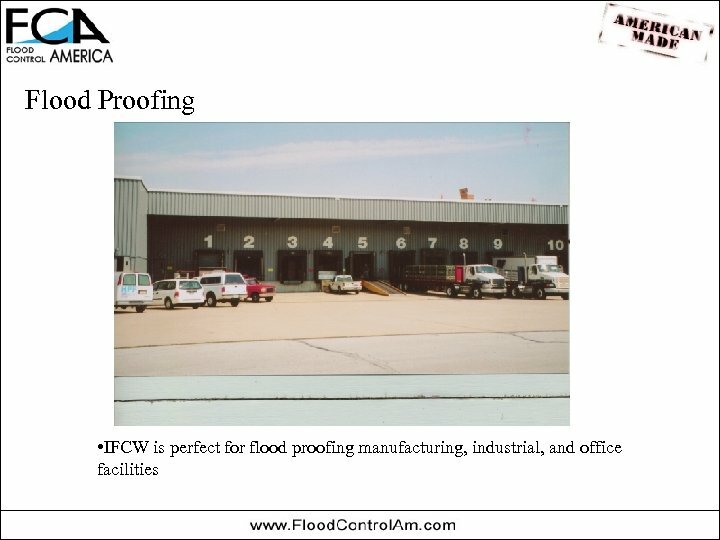 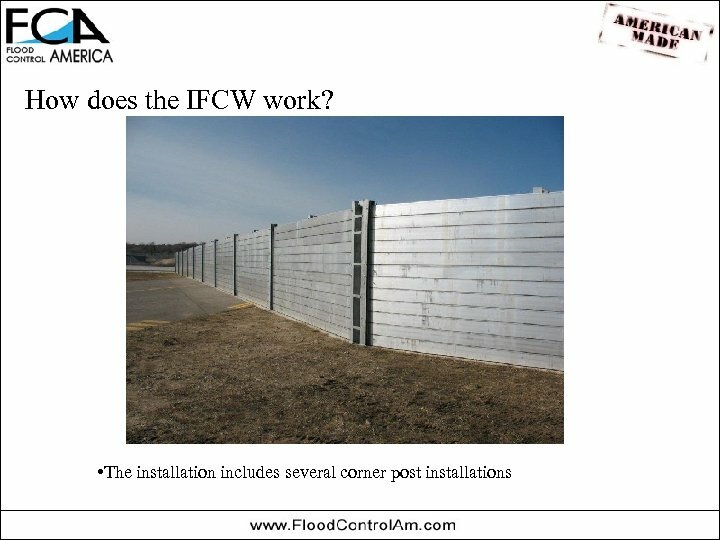 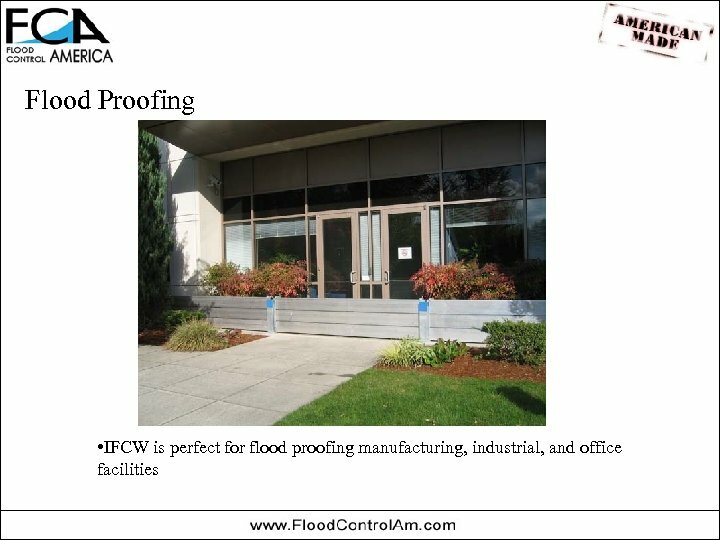 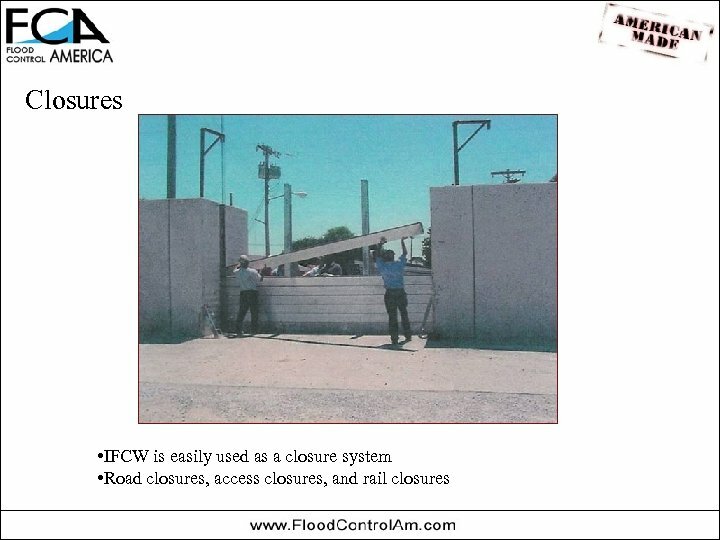 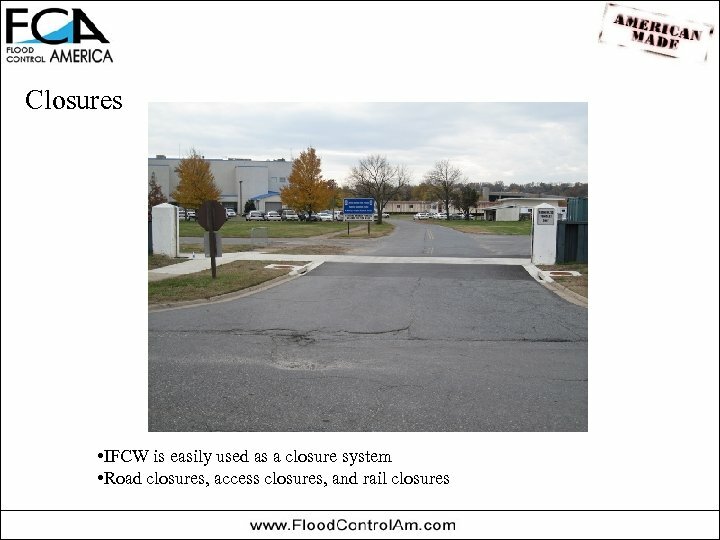 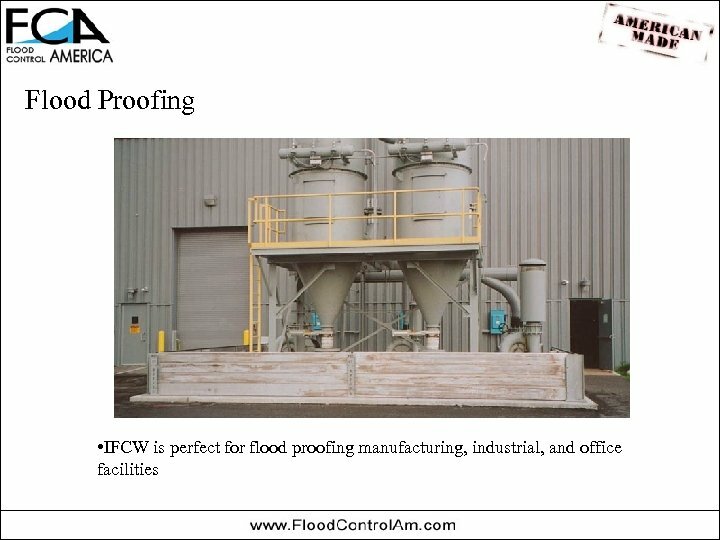 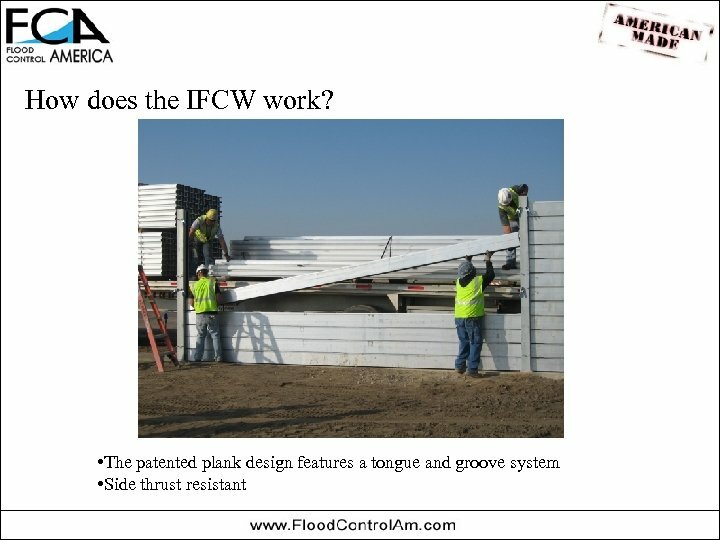 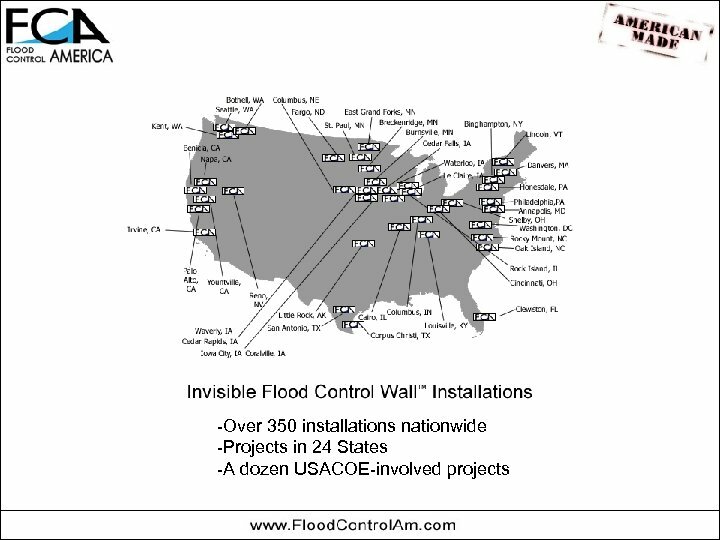 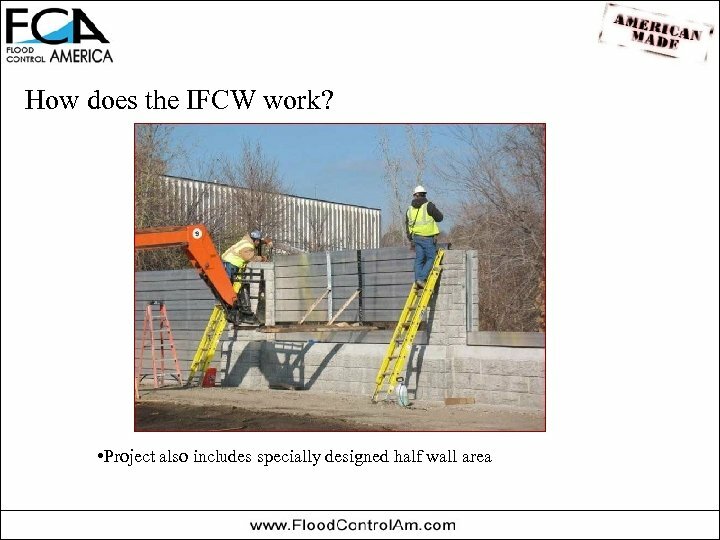 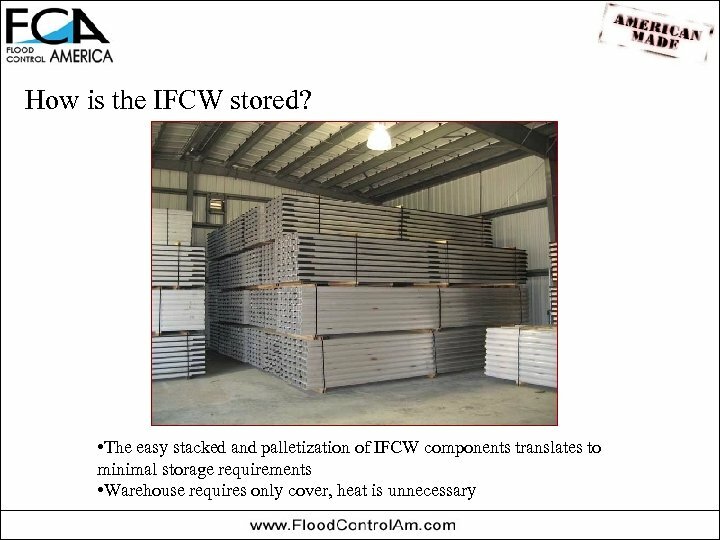 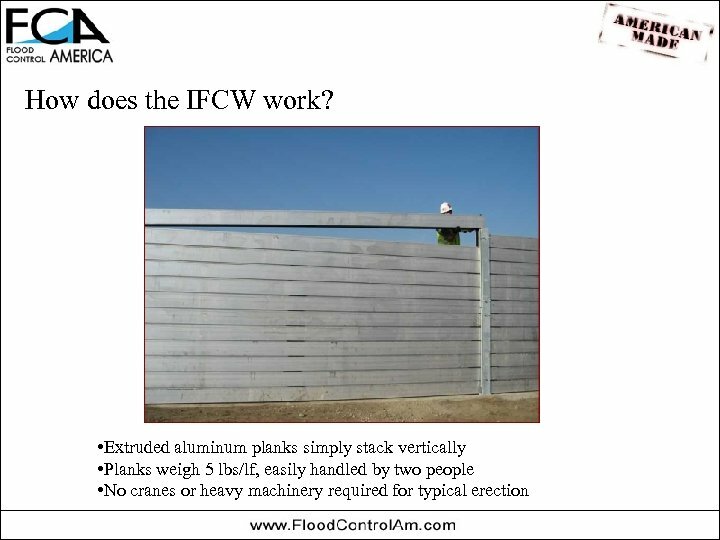 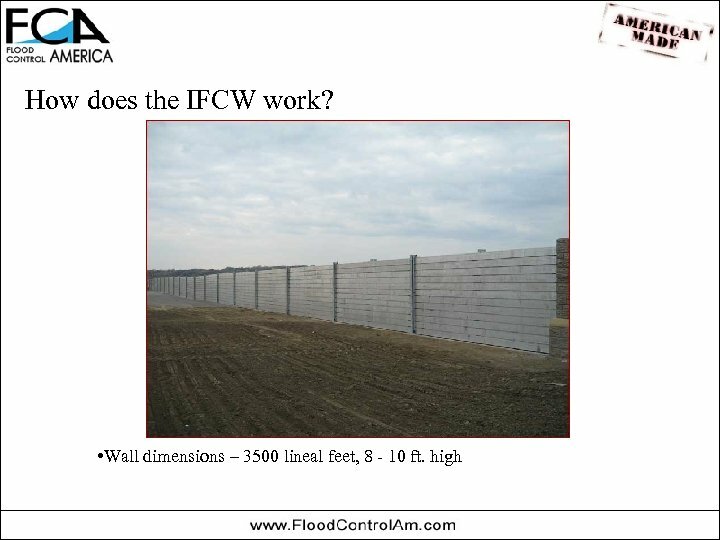 How does the IFCW work? 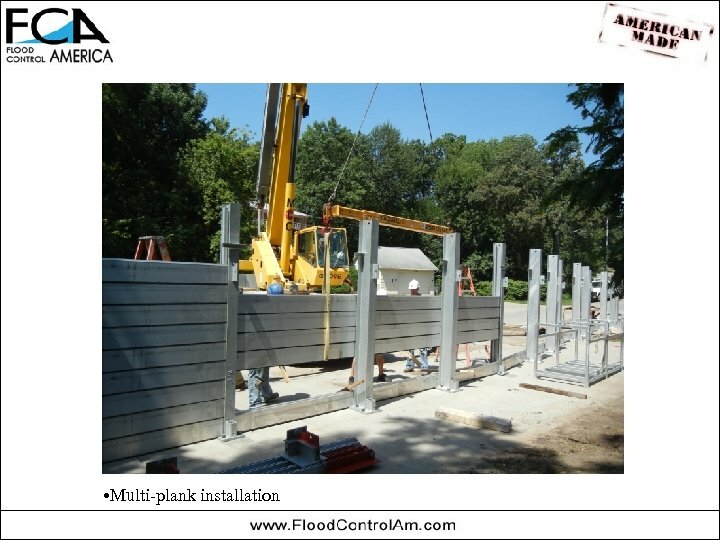 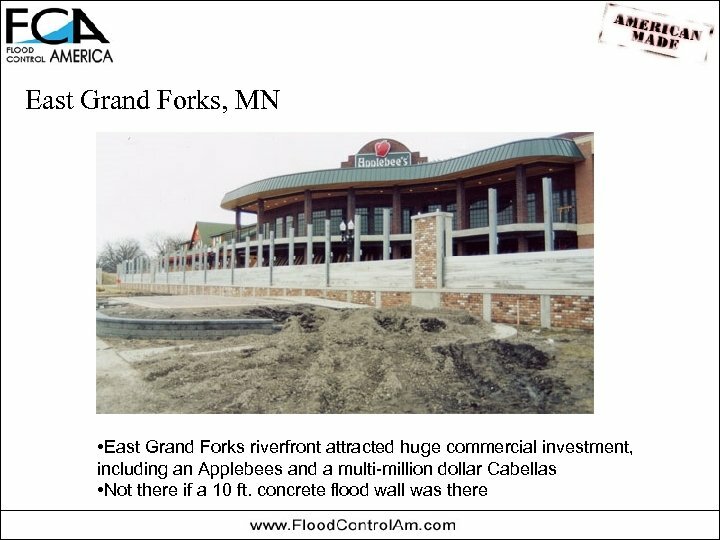 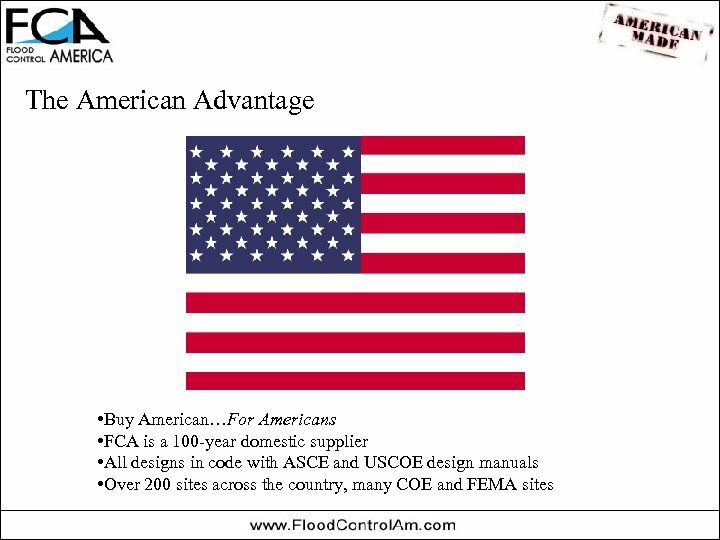 • Base plate embeds are sunk deep into a poured concrete foundation. 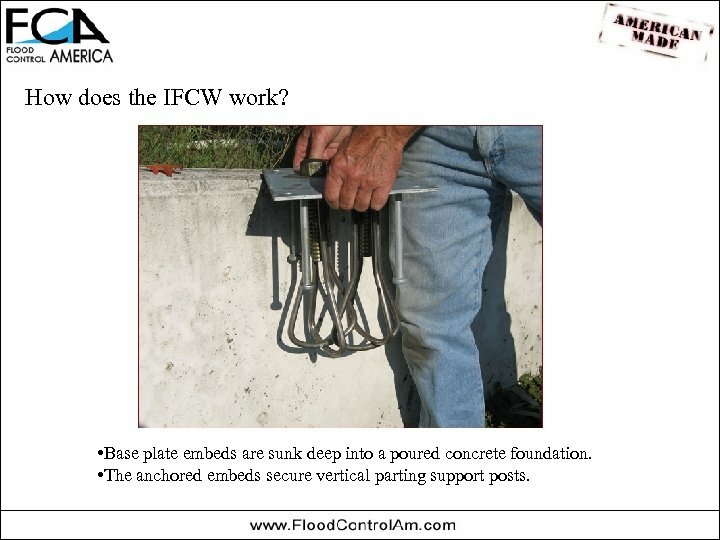 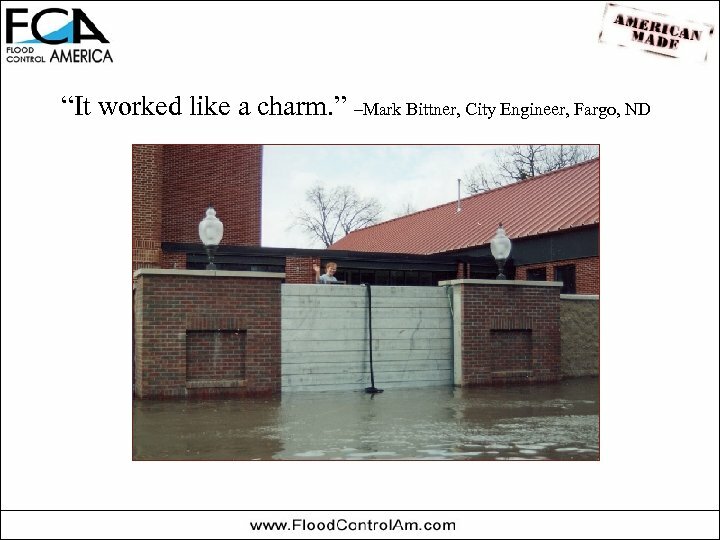 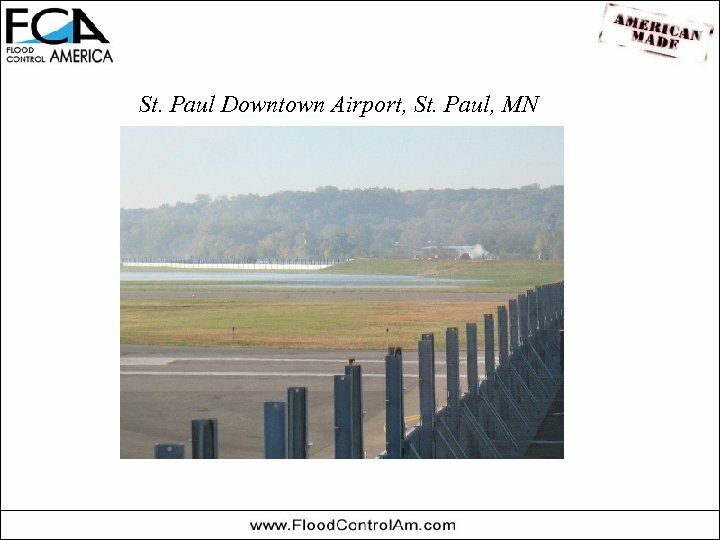 • The anchored embeds secure vertical parting support posts. 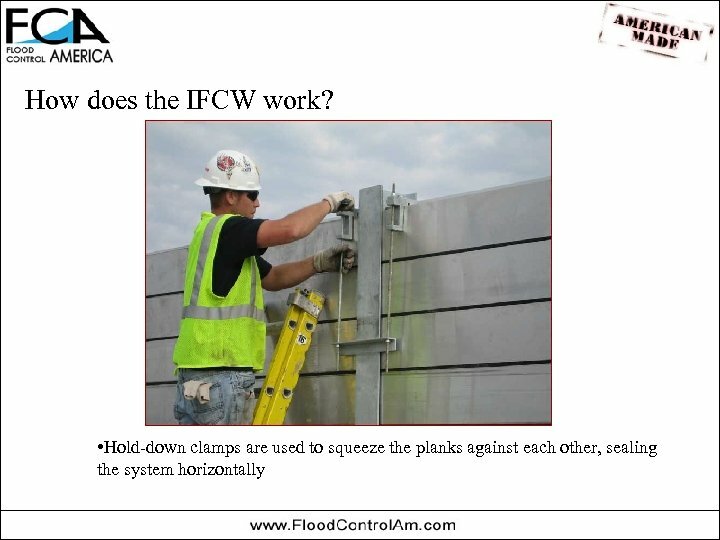 How does the IFCW work? 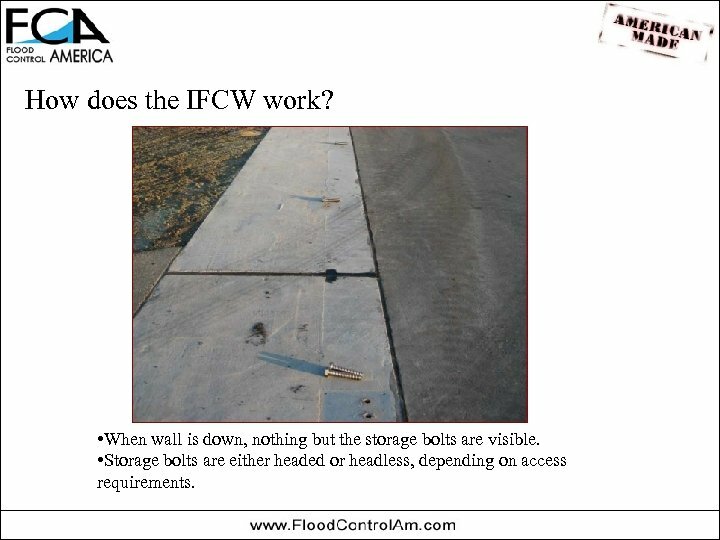 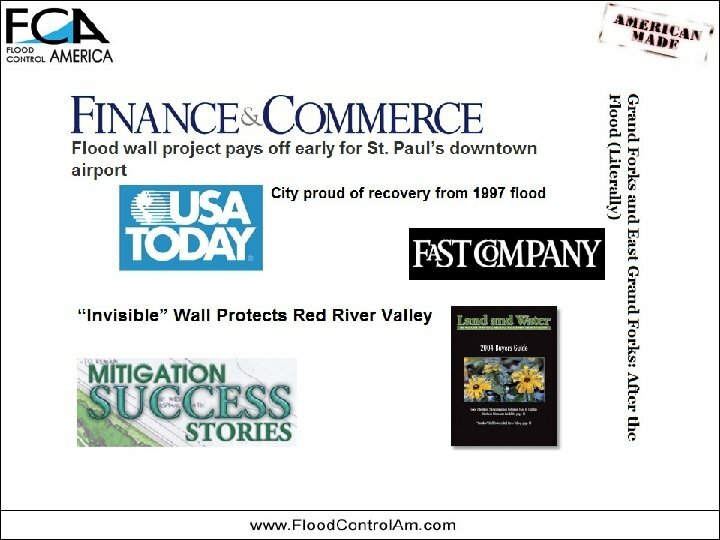 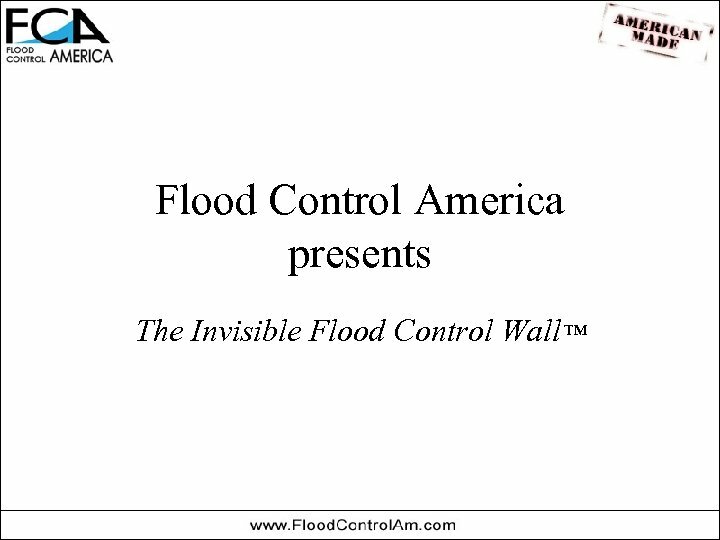 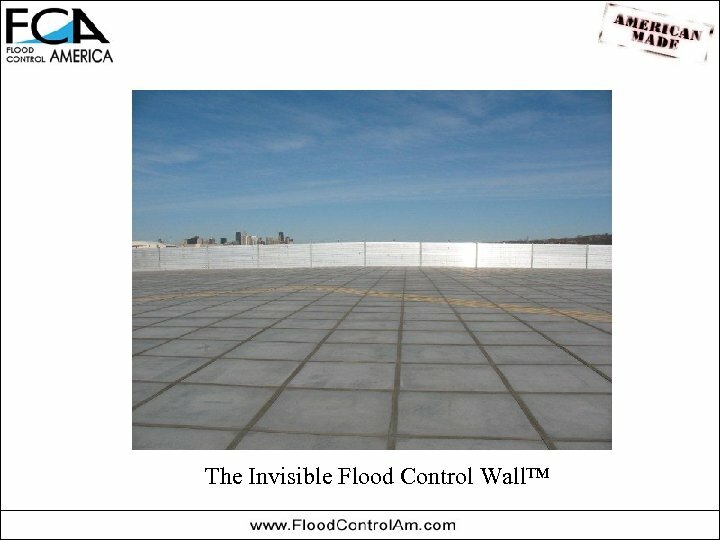 • When wall is down, nothing but the storage bolts are visible. 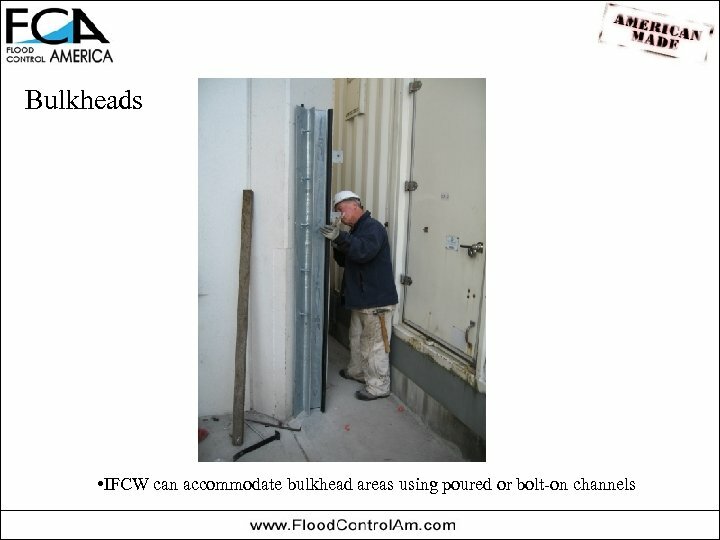 • Storage bolts are either headed or headless, depending on access requirements. 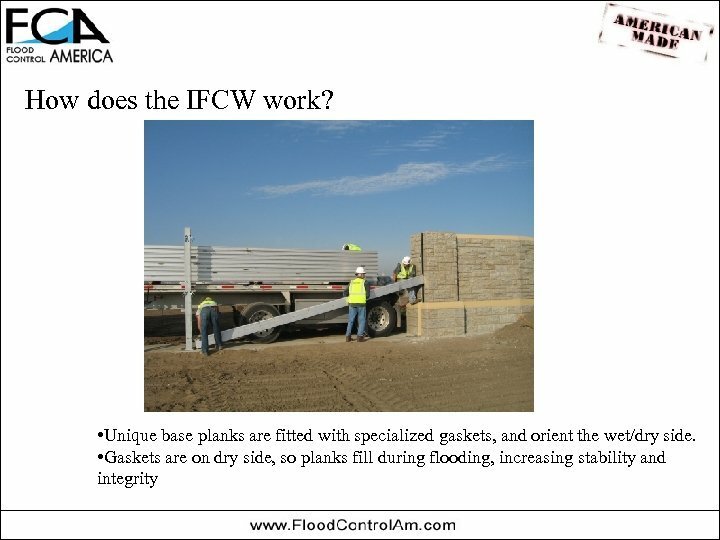 How does the IFCW work? 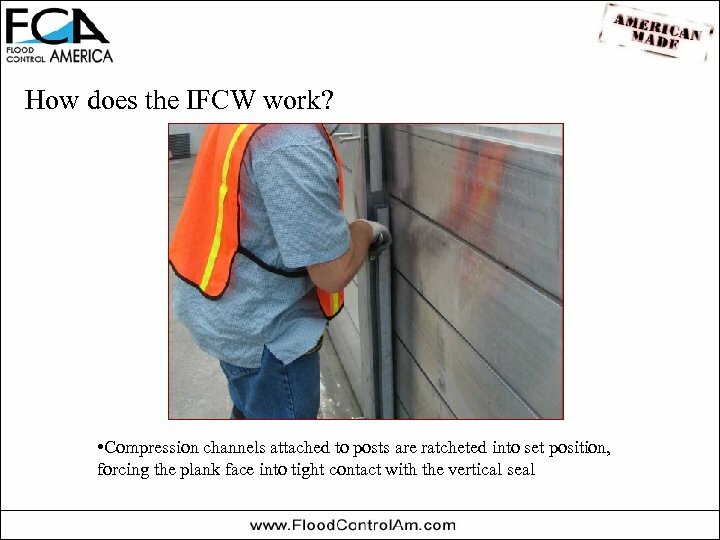 • Compression channels attached to posts are ratcheted into set position, forcing the plank face into tight contact with the vertical seal. 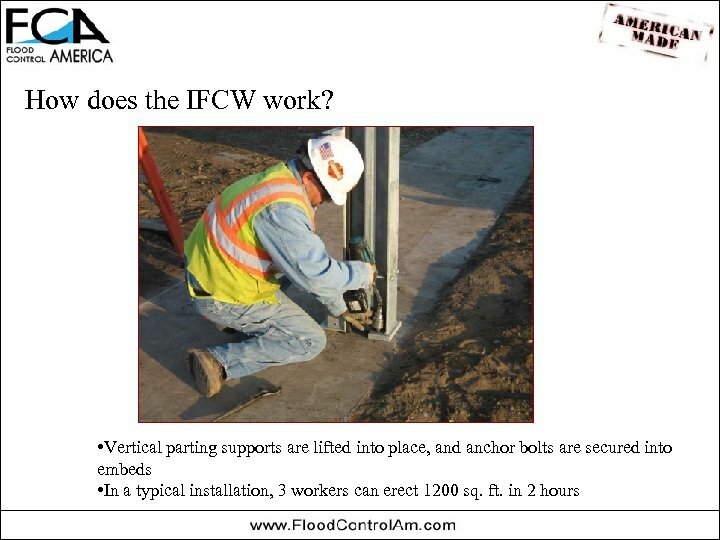 How does the IFCW work? 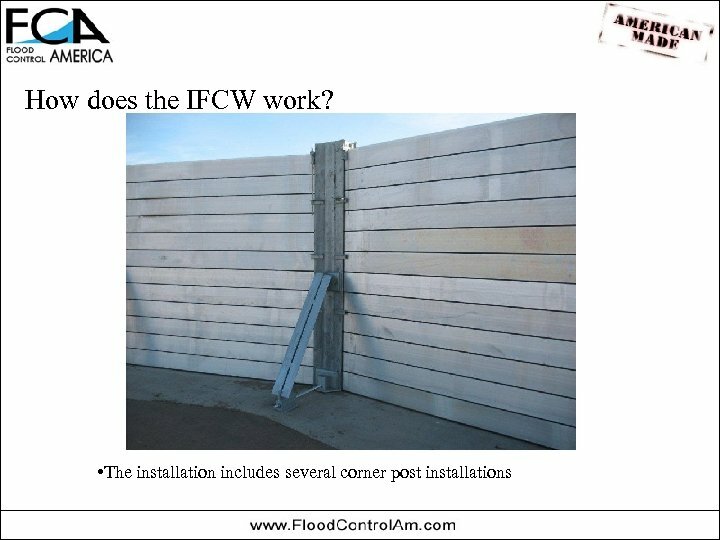 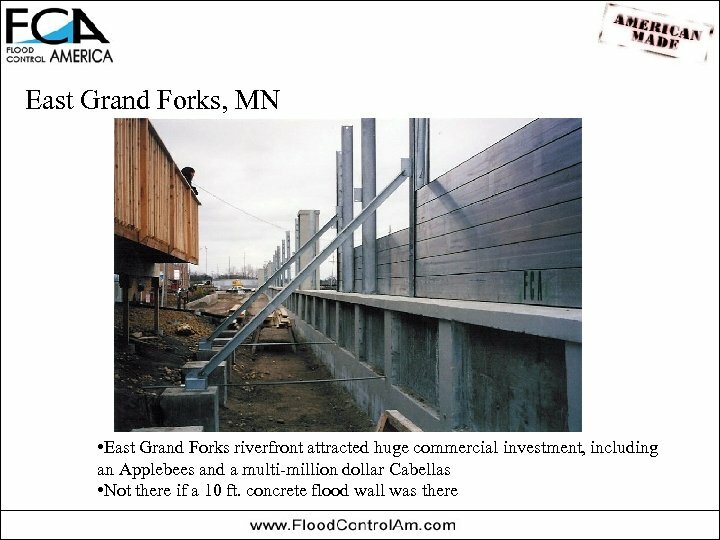 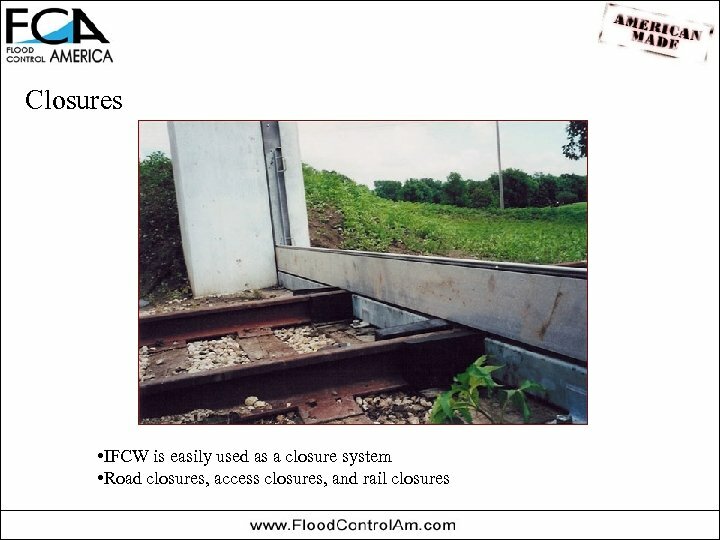 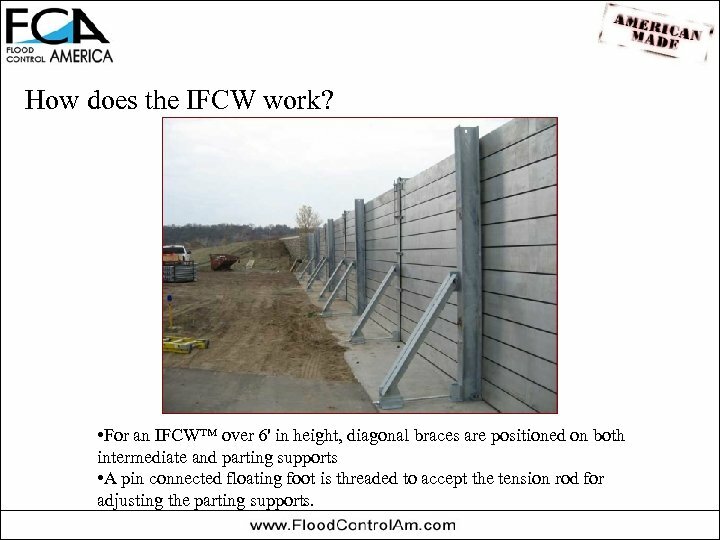 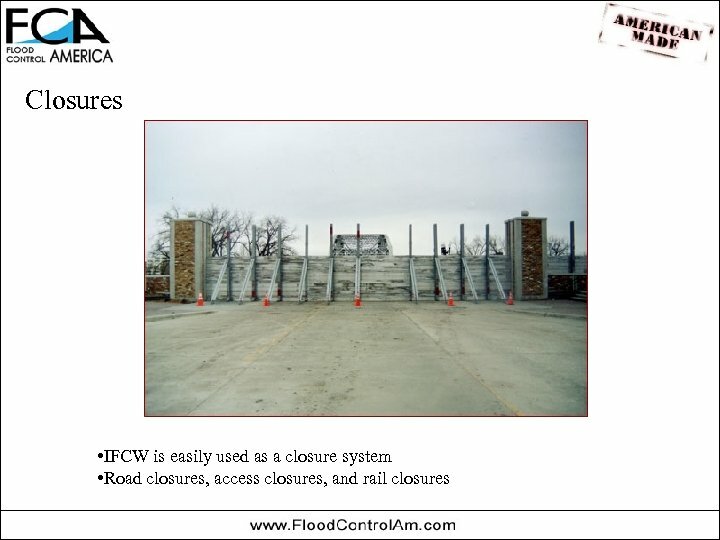 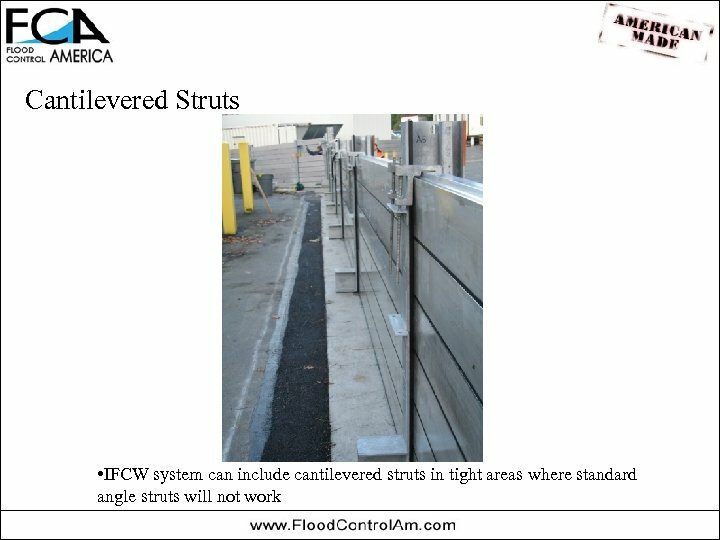 • For an IFCW™ over 6' in height, diagonal braces are positioned on both intermediate and parting supports • A pin connected floating foot is threaded to accept the tension rod for adjusting the parting supports.